Do Only Humans Have Souls or Do Animals Possess Them Too? In common parlance, the word “soul” pops up everywhere. We may speak of a vast, soulless corporation or describe an athlete as the “heart and soul” of his team. Soul music gets us swaying. We want our lover, body and soul. In each case, “soul” connotes deep feeling and core values. I am of a dying breed. I am a naturalist. We naturalists have an inexhaustible fascination with biological diversity and with organisms themselves, always wanting to know as much as we can about as many species as possible from first-hand experience. We are most happy when immersed in nature, far from concrete, asphalt, and steel. I am a corporate lawyer turned environmental artist. It might be difficult to imagine how this transition came about, but for me the progression from one to the other made perfect sense. As a college student, I was torn between two different worlds: literature and botany. Grasping at threads to connect them, I held on to the cultural meanings of plants, from the hazel and rowan trees of Irish myth and the jasmine and anemones of Arabic songs to Huysmans’ aroids, orchids, and bromeliads. In fall 2016 the Center for Humans and Nature worked with two groups of undergraduate students at Loyola University Chicago to share their visions of a culture of conservation. 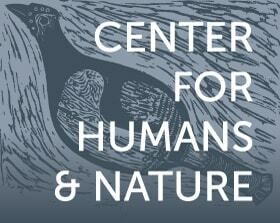 We hope you enjoy these voices from the next generation of environmental scholars, scientists, activists, and leaders. Can we have a successful economy without continuous economic growth? The current goal of economic growth is focused too much on the concept of gross domestic product (GDP) growth. GDP is defective in that it lacks a value system that differentiates the kinds of output it measures. What happens when we perceive ourselves either as separate from or as a part of nature? Where our society stands, we already consider ourselves as separate from nature. For the vast majority of history, humans have acted as conquerors of nature, clearing the land for whatever reason they chose. Working with the Greening Youth Foundation and the National Park Service was a transformative journey. The Historically Black Colleges and Universities Initiative internship program allowed me to travel to new places and be exposed to different modes of thinking. During the summer of 2016 my experience with the Greening Youth Foundation was both profound and enlightening. In my second year in their Historically Black Colleges and Universities Internship (HBCUI) program, I became more confident in my abilities to truly grow as an individual. 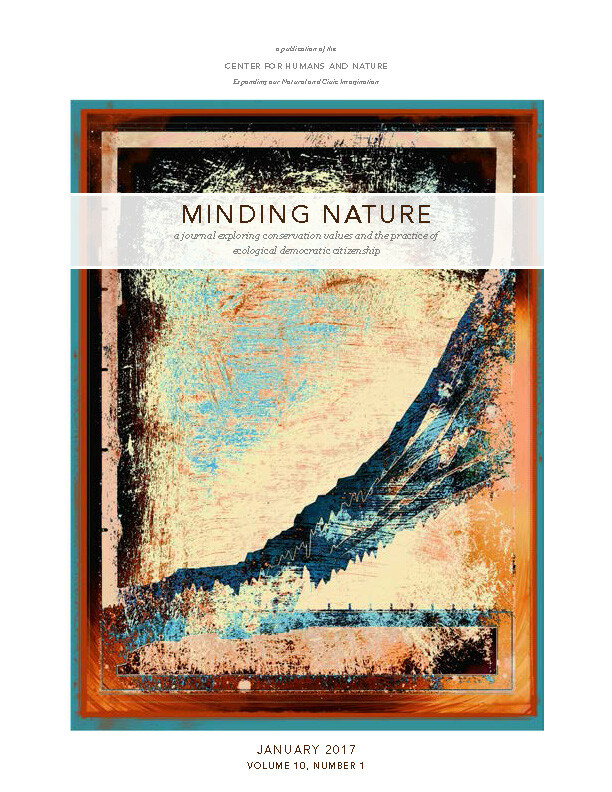 My book, Language Making Nature, is an odd thing; it is a naturalist’s walk through the language-making landscape of the English language, and following in the naturalist’s tradition it combines observation, experimentation, speculation, and documentation—activities we don’t normally associate with the words we use. We are at a new moment in our planetary history, one fraught with uncertainty and violence, as well as rapid change and unforeseen compassion. As we see our present interconnected global challenges of widespread environmental degradation, climate change, crippling poverty, social inequities, and unrestrained militarism, we know that the obstacles to the flourishing of life’s ecosystems and to genuine sustainable development are considerable. Right up front, Shenston admitted he was an amateur printer, and he proved it by breaking every rule of typography. The result is a visual nightmare—hodgepodge of typeface, vertical and circular text, bolded phrases, frantic use of italics and exclamation points—it yells so loud your ears hurt. Dr. Seuss’s grumpy, beleaguered, and beloved Lorax character says, “I speak for the trees, for the trees have no tongues.” This poignant children’s book brings some interesting questions to mind—who speaks for the earth in courts around the world, and for the rights of the planet itself? Is our species held guilty as a whole of harming the earth? Writing this review came with a built-in challenge: What mix of qualities makes an urban nature anthology, now almost fifteen years old, worthwhile? First on the list should be the excellence of the writing. City Wilds is certainly brimming with creatively wrought pieces.